This holiday is not expressly religious. It is secular. Nevertheless, it can serve to promote a value that is elevated throughout the Scriptures, that value being the importance of remembrance. You see, a failure of memory is not just something which leads to personal inconvenience or social embarrassment. It is a spiritual danger. A failure of memory in those things which are most significant results in a failure of faith. Forgetfulness erodes the foundation of our relationship with God. A quick scanning of the biblical documents make apparent the importance that is placed upon remembering. Throughout the scriptures we find references to monuments, memorial feasts, and ritually repeated stories, all of which serve to reinforce the sacred memory of the people of God. In various ways the great saving acts of God were rehearsed and re-presented so that the people would not forget what God had done for their sake. The Old Testament text, Joshua 4:1-9, stands as one example of this practice. The biblical narrative which leads up to this text tells the story of the Israelites' long-awaited entry into the promised land. After forty years of wilderness wandering the people finally reached their destination. The swollen Jordan River blocked their way into the land but they did not stop. When the priests who were carrying the ark of the covenant began to place their feet in the river, the water ceased flowing and the people crossed over on dry ground, just as their forebears had when they escaped the Egyptians. When they all finished passing over the Jordan, the leader of Israel, Joshua, had a simple monument built to commemorate the wondrous event. This served to remind the people that their progress -- indeed, their very existence -- was in the hands of the living God. 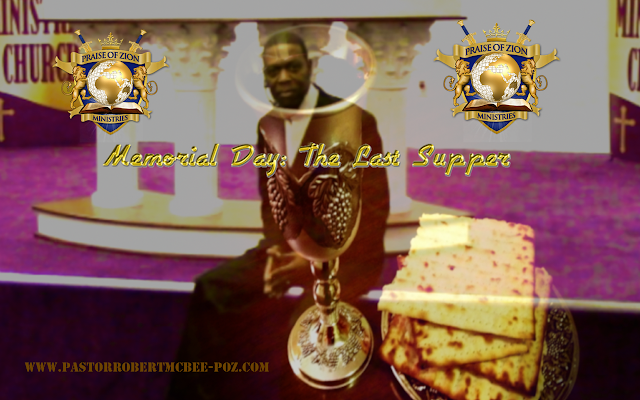 The Passover feast which Moses instituted was to serve a similar purpose; it was to remind the people that it was God and not they themselves who brought about their liberation from slavery in Egypt. Those who forgot the past fell into thanklessness. It is unlikely that we will do any better. If we forget the value of our heritage and the source of our blessings, it will become very easy for us to take for granted all that we have and all that we are. It will be very easy for us to begin believing that we can make our own way without God. With the blindness of pride we will very likely begin trusting in our own wisdom and power rather than relying upon the guidance and might of our Maker. Then in our wrong-headed self-confidence we will lose our way. For this reason it is crucial that we remember. I suppose that every culture and country has its memorials. The best memorials lift our sights above the mundane affairs of the moment in order to focus our attention upon the highest aspirations and accomplishments of those who have preceded us. When we visit the Lincoln Memorial or Washington Monument, it is natural to begin meditating upon the impressive deeds and high values of these forebears. Visits to such places can help stimulate us to embrace more noble and exalted goals. But sometimes memorials can serve less honorable purposes. Not only do memorials call attention to the best in the past; they also can be used to cover up the worst. An impressive monument can bestow dignity upon a dubious endeavor or questionable person of days gone by. Such memorials do no service to the truth for they hide unflattering facts. At times a memorial itself can be greater than the person it is supposed to honor. For instance, Michelangelo's sculpture for the tomb of Pope Julius II is a magnificent creation, but the Pope it was to pay tribute to was pretty much a scoundrel. But we don't want memorials to highlight the dark side of the past, the atrocities and treacheries. We prefer our memorials to comfort and reassure us, rather than warn us or disturb our complacency. Sometimes dwelling on the past is a means of escaping the problems of the present and the disturbing prospects of the future. Sometimes we are tempted to glorify days gone by. I suppose we all know people who seem to continually talk about how great things used to be. Life was simpler, friendships were closer, motives were more pure, morals were higher and so on. This is the Golden Age syndrome. For some people the Golden Age was the 1920s; for others it was the 1960s, others the 70's, others the 80's. No matter what our favorite period may be, the problem with looking back to a Golden Age is that we distort the past and we come to believe that the best days of life have already gone by. Everything else that follows is anticlimactic. Consequently some people, who are disappointed with the present and distressed over the future, tend to live in the past. Their memories are highly important to them but they do not have hopeful memories. You see, hopeful memory does not drag us into the past and lock us there. Hopeful memory does not tell us that the best of life has already come and gone. Rather it thrusts us into the future. When the prophets of old called upon God's people and told them to remember the works that the Lord had done in the past, this was to prepare them for the future. They were not called upon to remember the past for its own sake. The practice was not a self-indulgent diversion. Rather they were to remember the wonders of the past so that their lives would be open to the even greater wonders God would do for them in the future. The Lord's Supper is a hopeful memorial. It does not falsely glorify the past. When we partake of the bread and cup we remember the broken body and blood of the Lord. Images of deceit, betrayal and cruelty impose themselves upon us. The memorial feast confronts us with the disquieting fact that we humans are all too capable of striking out against true holiness and supreme goodness and treating it as demonic if it does not work out to our advantage. That is not the kind of memory we hold dear. But the Lord's Supper does more. It reminds us of the sacrificial love of God. It speaks to us of a love that will not let us go but which reaches out to us, despite our evil. Yet in the Lord's Supper we see even more than that. We also see the promise of Jesus Christ that He will come again and that we will eat and drink anew with our Lord in the kingdom of God (Mark 14:25). The Lord's Supper points us not only to the past but toward the promised future as well. The past and the future are made into vital contemporary realities for us by the presence of Christ. The meal is a memorial that reinforces a hopeful memory. For when a Christian dies, it is a birthday of a sorts because death is not an ending but a new beginning. And so when we think of our dead, let us do so with a hopeful memory for an amazing future still awaits them, and the rest of us as well. Yet in the Lord's Supper we see even more than that. We also see the promise of Jesus Christ that He will come again and that we will eat and drink anew with our Lord in the kingdom of God (Mark 14:25). The Lord's Supper points us not only to the past but toward the promised future as well. The past and the future are made into vital contemporary realities for us by the presence of Christ. The meal is a memorial that reinforces a hopeful memory. For when a Christian dies, it is a birthday of a sorts because death is not an ending but a new beginning. And so when we think of our dead, let us do so with a hopeful memory for an amazing future still awaits them, and the rest of us as well.